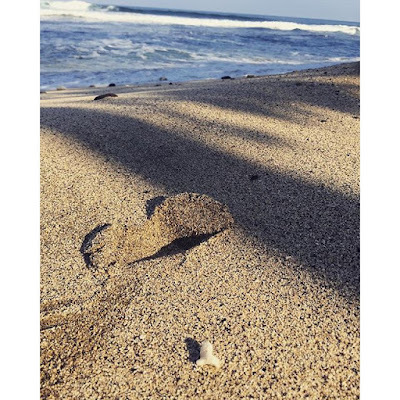 • The Link: "I found a heart-shaped rock sitting beside me as I watch the wave, Louisa sleeping peacefully right behind. It's a sign of love for my dear friend who loves the Pacific so on her anniversary. To many years of love, dear @jmassdini."